Bheemeshwari is a small town in Mandya district. It is located on the banks of the river Cauvery between the Shivanasamudra falls and Mekedatu falls. This town is blessed with a plethora of flora and fauna and is famous for its eco-tourism initiatives. The town is also referred to as ‘the Angler’s paradise’, being the natural habitat of the Mahseer. This particular variety of fish is believed to be one of the best game fishes, and draws several fishing enthusiasts every year to this serene town. The attractions in Bheemeshwari are primarily ecological in nature. The variety of wildlife present in the jungles attracts several nature lovers and travellers on a regular basis. Some of the chief attractions are mentioned below. This camp is situated near the Cauvery River. The sheer abundance of fish in these waters makes it the perfect spot for fishing and angling. The largest tropical game fish, Mahseer, can be found here. Ecological conservation is taken very seriously at this camp. Fishing of tropical fishes is allowed only with prior booking, and visitors are not allowed to take their catch away with them. Tourists are given the opportunity of experiencing the pristine beauty of the Cauvery River on coracles. The use of these indigenous watercrafts gives the entire experience a rustic feel, and draws several thousand tourists every year. As the name suggests, the camp is located in a place of unparalleled natural beauty. 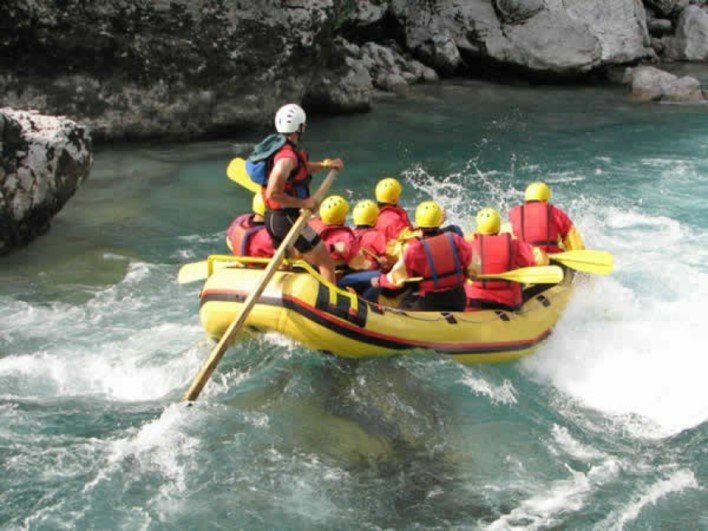 The camp offers adventure sports activities such as watersports, trekking and myriad other outdoor activities. Safe food and stay facilities are also provided which see several adventure enthusiasts visit this camp every year. The spot of the confluence of the Cauvery and Arkavathi rivers, Sangam is one of the most popular picnic spots at Bheemeshwari. It offers breathtaking panoramas of the entire region. Sightings of animals such as tigers, deer and elephants are regularly reported and attract several wildlife enthusiasts. The spot is also an ornithologists’ delight with several migratory and native words flocking here. Set amidst mountains, forests and a river flowing across, Galibore fishing camp is noteworthy for the multitude of adventure sports activities available to tourists. Visitors can indulge in bird watching, kayaking and rafting along with fishing. The sensitive environment is given due respect, and tourists are only allowed to visit the camp with prior permission. Among the five most prominent pelican breeding sites in the world, Kokrebellur Pelicanry is a small village located in close proximity to Bheemeshwari. A variety of native and migratory birds, including pelicans and painted storks, can be spotted during the winter season. The numerous water bodies present in this region act as a source of food for the fish eating pelicans. This sanctuary is located between Mekedatu, Gaganachukki and Barachukki. The Mahseer fish as well as several other wild animals such as otters, wild boars, and elephants can be found in abundance. This sanctuary also has something to offer for bird watchers. Regular sightings of bird species such as bis, cormorant, kingfisher, and heron are reported. The city is well connected by air, rail and road to all major cities in the country. The nearest airport is Bengaluru. Several regular flights connect Bengaluru international airport to all major cities in the country. The nearest railway station is Bengaluru. Trains from all major cities in the country regularly arrive at Bengaluru. There are regular buses, both private and KSRTC, from Bengaluru to Bheemeshwari. The distance is around 100 kms and around 2 hours of drive. Buses are also available from Mysore. The distance from Mysore to Bheemeshwari is around 85 kms. Private taxis can also be hired to reach and travel around the place.